When I was in college, I traded music theory lessons with my roommate in exchange for coding lessons. He was majoring in Computer Science, busy writing and defending mathematical proofs. I was studying Music, busy writing and defending compositions written under the constraint of olden counterpoint species. We saw the two disciplines as similarly centered around learning a language through tremendous practice and then making it your own. Once you mastered it – it’s up to you to succeed or fail. If I misread a hit while playing drums in the big band ensemble, I failed in front of everyone in a major way. If I nailed it, I did my job. If my roommate pushed a bad line of code to production, he’s in trouble. If his code was bug free, he did his job. 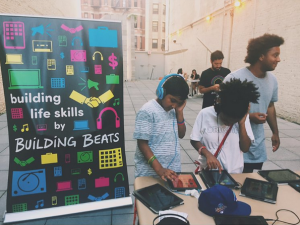 Building Beats was founded by Phi Pham, a DJ and entrepreneur himself. His mission is fairly simple (albeit refreshing simple): give underprivileged kids from New York City access to music and tech they don’t have access to, let them learn organically. Angel Martinez, Technology Lead at Building Beats, built the Twilio-powered coordination app that keeps all of Building Beats’ volunteers organized and focusing on the kids. Angel, also a DJ, learned how a music career can impact tech firsthand. “Having experience in the tech world has definitely had an impact on how I approached my career in music. Much like software development, making music demands rigor, discipline, and attention to detail. Both also demand a lot of creativity and problem-solving,” says Angel. Building Beats trades that “hello world” moment common in the tech world, for a “hello first beat dropped” moment. The sense of empowerment kids get when they create, edit, and ship their first beat is plainly evident on their face (as pictured above). 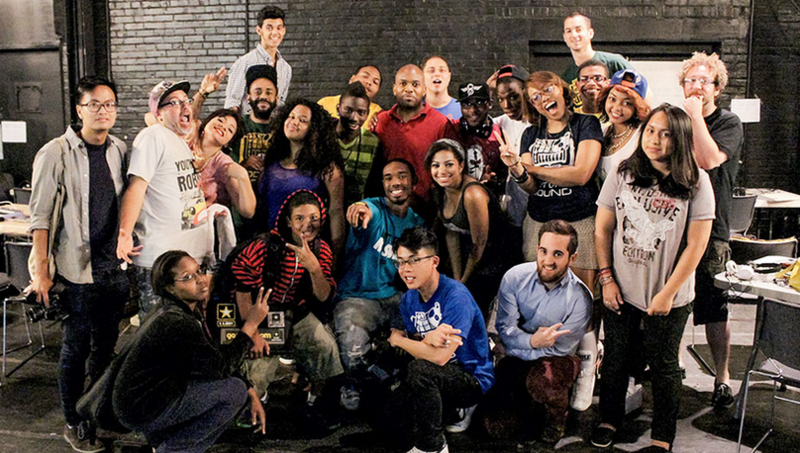 Much like the best coders, Building Beats’ instructors practice what they preach. They’re out gigging, touring and selling out clubs. It may seem like a far cry from a VC’s office or a hot-startup’s stand up desk. But, the sense of independence Building Beats teaches kids expands beyond the DJ booth, and into the kids’ future. If they keep making beats, it looks like it’ll be a bright future, too.